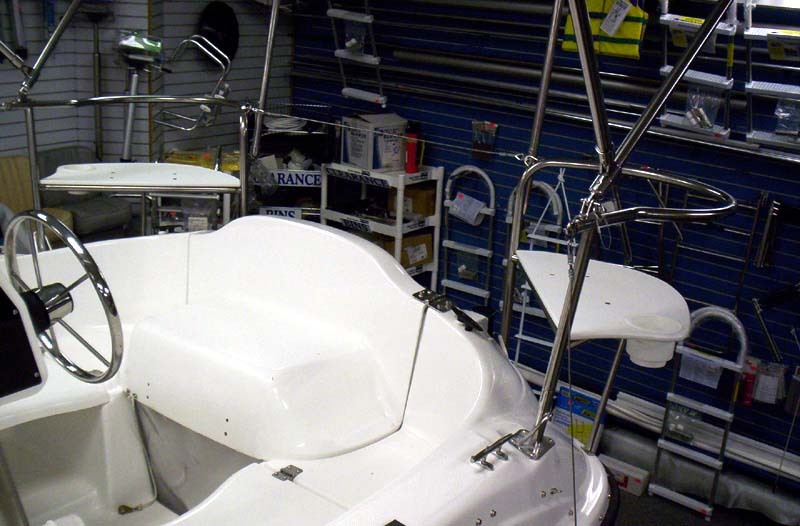 Here are the stern rail seats with the optional cockpit canvas package installed. 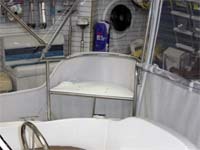 Notice that the seats are still usable, even with the canvas package in place. 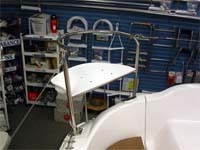 This is the port side stern rail seat with the drink holder installed (included with this package). 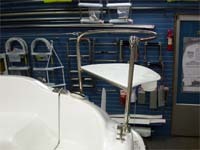 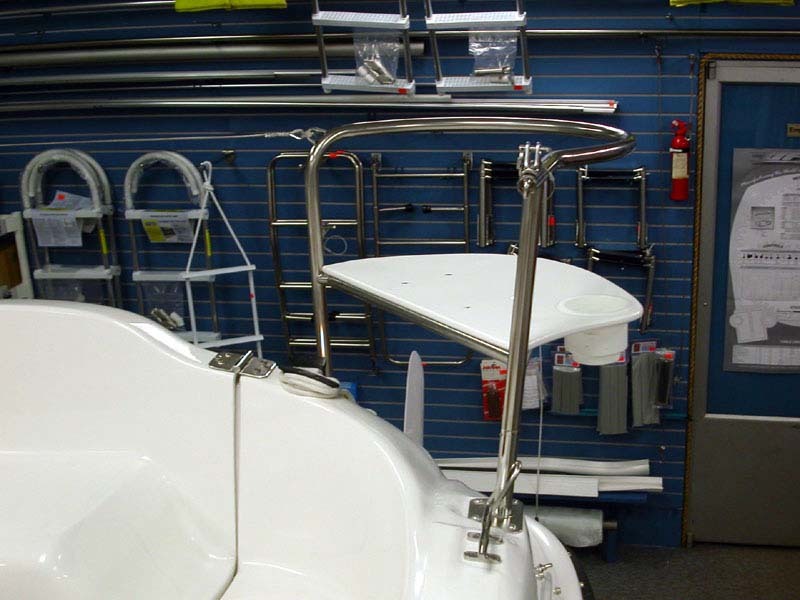 This is the starboard side stern rail seat with the drink holder installed (included with this package). * Restrictions Apply -- See Shipping Information in our Online Store. 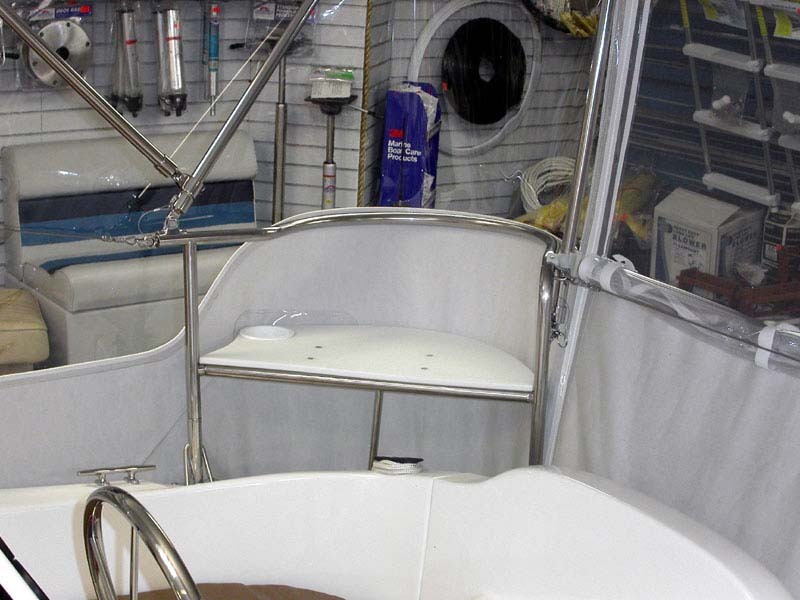 Pricing is only guaranteed for online purchases that are shipped.